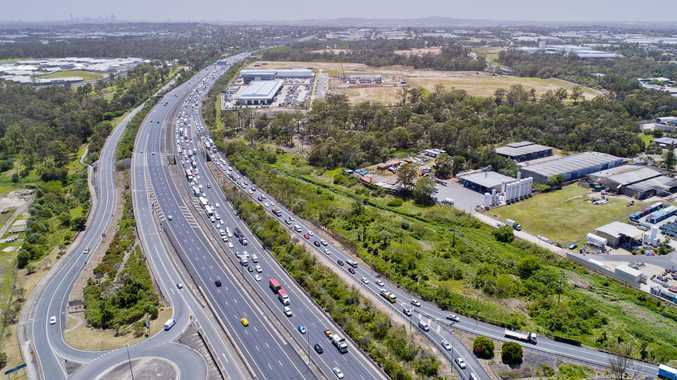 UPDATE 11.51AM: THE Ipswich Mwy has re-opened following a serious crash early this morning. A woman died when she was hit by a truck at Wacol just after 9am. The Forensic Crash Unit has been called to the scene. If you or someone you know needs support phone Lifeline on 13 11 14. Ipswich Mwy Fatal Crash: A WOMAN critically injured in a crash involving a truck has not been taken to hospital. The Forensic Crash Unit has been called to the scene on the Ipswich Mwy at Wacol. 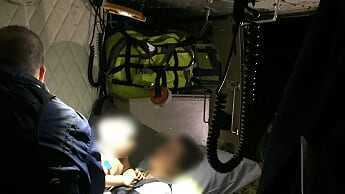 A Queensland Ambulance Service spokesperson said paramedics had left the scene. UPDATE 10.18AM: A WOMAN critically injured in a crash involving a truck has not been taken to hospital. The Forensic Crash Unit has been called to the scene on the Ipswich Mwy at Wacol. A Queensland Ambulance Service spokesperson said paramedics had left the scene. Drivers should avoid the area as the west bound lanes are closed. The Forensic Crash Unit has been called. UPDATE 10AM: THREE lanes of the Ipswich Mwy are closed westbound at Wacol following a serious traffic crash. The Progress Rd on-ramp westbound is also closed and diversions are in place. It is understood a woman has critical head injuries. INITIAL: DRIVERS should avoid the Ipswich Mwy at Wacol following a serious traffic crash. One lane of the highway is closed westbound near the intersection of the Centenary Hwy following an incident involving a pedestrian and a truck. Emergency services were called just after 9am. Multiple crews are on scene. Four ambulance crews including a Critical Care Paramedic and the High Acuity Response Unit are en route. The left lane of the highway is blocked but traffic is at a standstill.